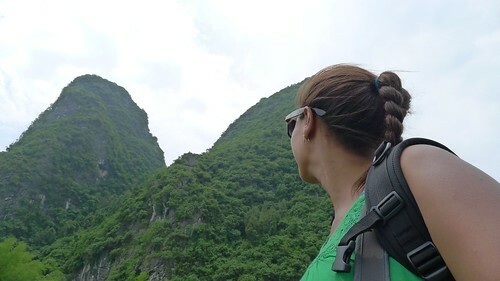 After spending 2 days in Guilin, we left the hustle and bustle of the city for the quiet Karst topography and countryside of Yangshuo. 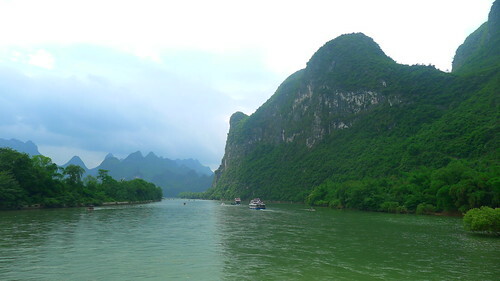 We were picked up at our hostel and taken to a larger tour bus where we met Yang Yang our tour guide for the four hour river cruise from Guilin to Yangshuo. He was fantastic. 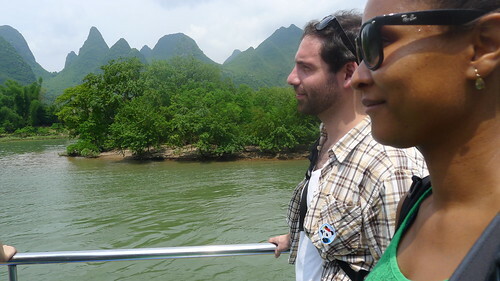 A very quick talker but he knows his stuff about Yangshuo, the Li River and what we would encounter once we got to town. On the boat he also pointed out the best places to take photos from and showed us most the famous rock formations and peaks. 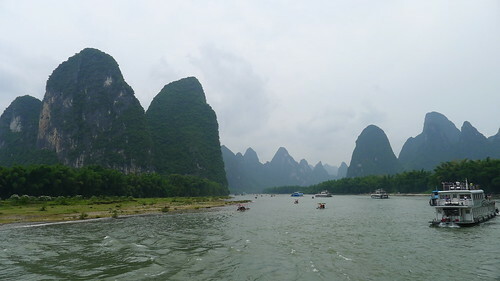 The boat ride to Yangshuo passed by some of the most stunning landscapes I’ve ever seen. 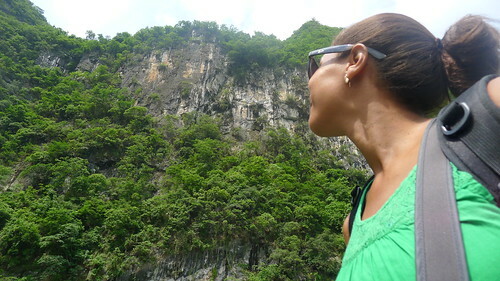 The mountains and peaks were various shades of green and went on as far as the eye could see. 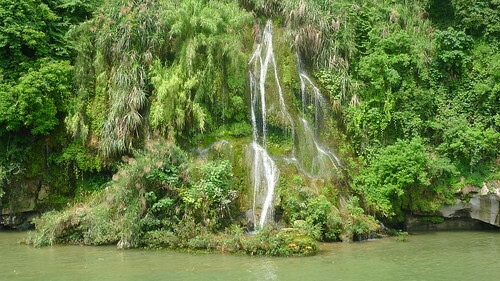 The occasional waterfall could be seen trickling down the mountain sides and many peaks were named for that they resembled, like Moon Hill and Goat Peak. Blake and I enjoyed to talking to some of our fellow passengers and taking pictures during the long and leisurely boat ride. 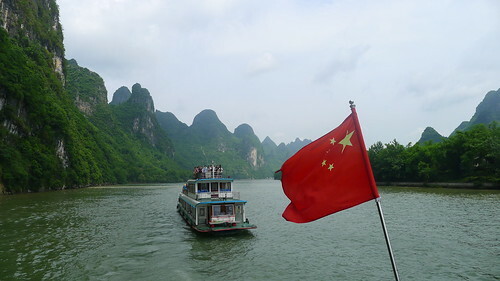 One of the most famous views is featured on the 20 Yuan note. 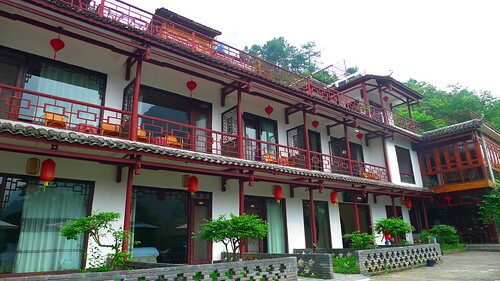 After the four our scenic boat ride we cabbed it to our hotel, the Li River Retreat, and settled in to our digs for the next 4 days. Definitely one of my favorite cities in China! Stunning landscapes! !